Notepad Corner: What Learning Style Best Suits You? What Learning Style Best Suits You? The way each person absorbs and retains information is different – it doesn’t matter how you were brought up, or how you were taught to learn.The trouble is many people will go all their lives without ever isolating what their signature style is. 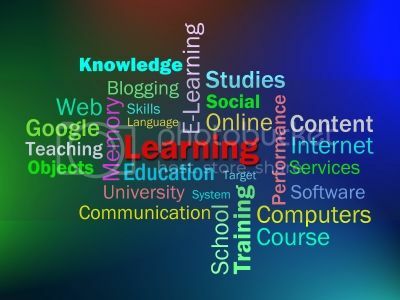 Below are some insightful hints as to what learning style might just suit you best. You can’t be forced to learn something, especially at a pace that overwhelms you. Self-learners are those people that like all the information at hand, and may have trouble absorbing anything productive in a classroom situation. You may also be someone who is easily distracted if you are not fully prepared to be focused on a topic at that particular moment. Distance or online learning through websites such as Evocca College are an ideal choice for these type of thinkers. Colours and images are an incredibly powerful tool when it comes to learning and information recognition. They have the ability to make subconscious associations with both previous knowledge and emotional responses. This visual learning style will suit you best if you find diagrams, drawings, and highlighting text useful tools. If you’re a visual learner, make sure you always include these types of prompts when you’re studying. For example, find a picture that best fits the topic you’re learning about, and use colours and diagrams around this to break down the information. Learning by practical means is another very common style that might just be the perfect fit for you. Take a look at the way you communicate with people. Do you use a lot of hand gestures or find yourself acting out situations when describing something? Do you find by physically making or pulling apart something that you have a greater understanding of how it works? If this is you then you’re someone who learns by experiencing a situation for yourself. If you’re inundated with a lot of written information, try applying a real-life situation/example to these details. If you’re someone who interprets learning material best by watching and listening, then make sure you own this style. Listen carefully if someone is discussing a topic, and even record it for playback at a later time.The classroom style learning environments, demonstration videos, or recorded lectures should all be utilised for this style of learning. This also applies to your own study. Instead of reviewing just your notes, record yourself talking through them instead, and put it on repeat. The hard thing about learning is that many teachers, as well as yourself, might not realise in what environments or by what styles you learn the best. Fortunately there has been a lot more study conducted into various learning styles, and many more institutions and schools are absorbing them into their own teaching practices. If you haven’t already defined what your learning style is, try and lock it down. As learning in a way that doesn’t fit will only make you stressed at not being able to retain the information, and even avoid learning and study altogether. What are some techniques you have introduced for yourself to match your own learning style? Write your responses in the space below.